Welcome to the EGT Friday Sportscar Round-Up, brought to you in association with Marc Brunel Recruitment, the specialists in providing talented engineering professionals to the motorcycle, historic motorsport and classic car restoration industry. On the eve of the 2019 running of the Rolex 24 at Daytona, there was plenty of news from the world of GT and endurance racing to keep fans appetites whetted for the forthcoming season. 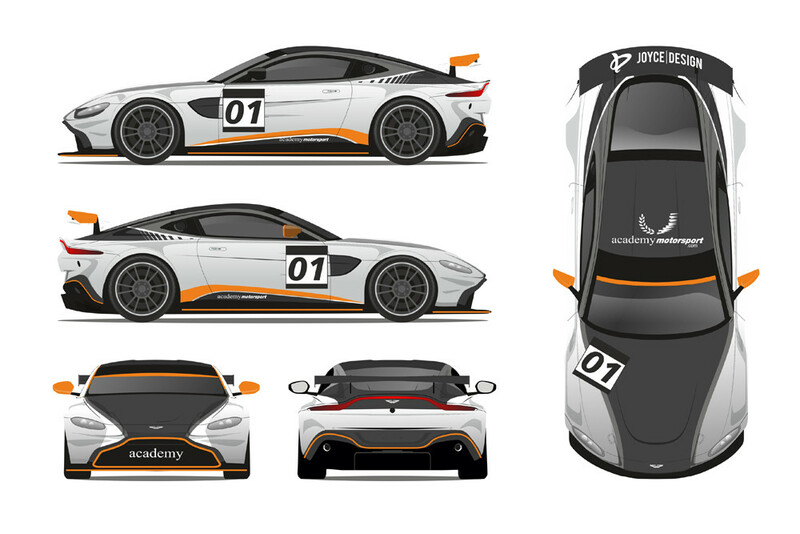 Academy Motorsport has announced that Ben Hurst and Micah Stanley will drive of the team’s two Aston Martin V8 Vantage GT4s in the 2019 British GT Championship. 21-year-old Canadian driver Ben Hurst joins Academy Motorsport after a season in the BRDC British F3 Championship, where he finished 16th. Monégasque Micah Stanley has had previous GT4 experience, having contested selected rounds of the of the GT4 Central European Championship and the GT4 Series Northern Cup over the past two seasons. Academy Motorsport Managing Director Matt Nicoll-Jones is excited at the prospect of the young pairing driving the new-for-2019 V8 Vantage GT4. Redhill-based TF Sport, which had previously confirmed its two GT4 entries in addition to its second GT3 entry to be driven by Graham Davidson and Jonny Adam, this week confirmed that Danish Aston Martin factory driver Nicki Thiim will be returning to the British GT Championship to join 2018 teammate Mark Farmer at the wheel of the new-for-2019 Aston Martin Vantage GT3. 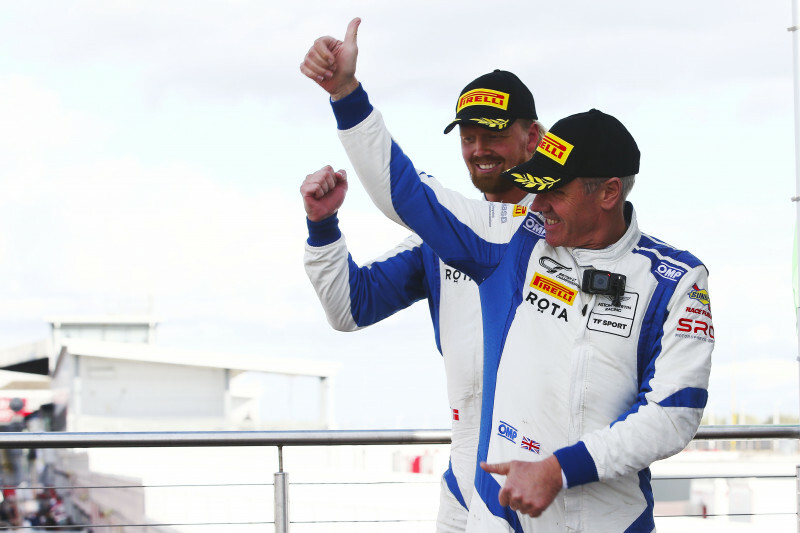 Thiim, who had his first taste of many of the iconic circuits on the British GT Championship calendar in 2018, is looking forward to his second season driving alongside Mark Farmer. Mark Farmer is delighted that the 2018 pairing is returning for the new season. 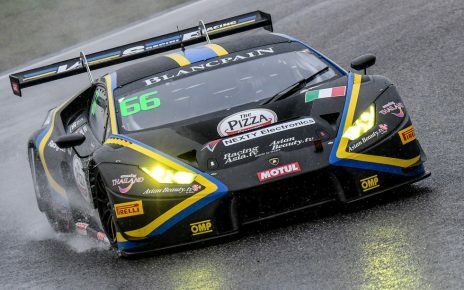 Barwell Motorsport has confirmed that it will contest the 2019 Blancpain GT Series Endurance Cup with a pair of new Lamborghini Huracan GT3 Evos. Leo Machitski and Adrian Amstutz will return to defend their Am Cup title while Sandy Mitchell remains with the team for a second season to be joined by Jordan Witt and James Pull in a Silver line-up. 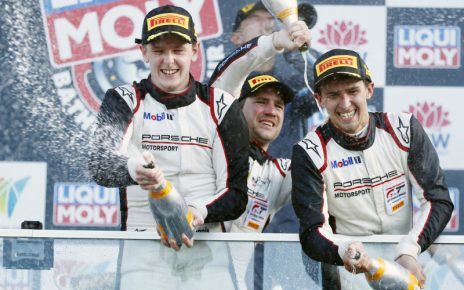 Witt joins Barwell Motorsport from team RJN Nissan with whom he finished ninth in the Silver Cup drivers standings in 2018, driving the team’s Nissan GT-R NISMO GT3. 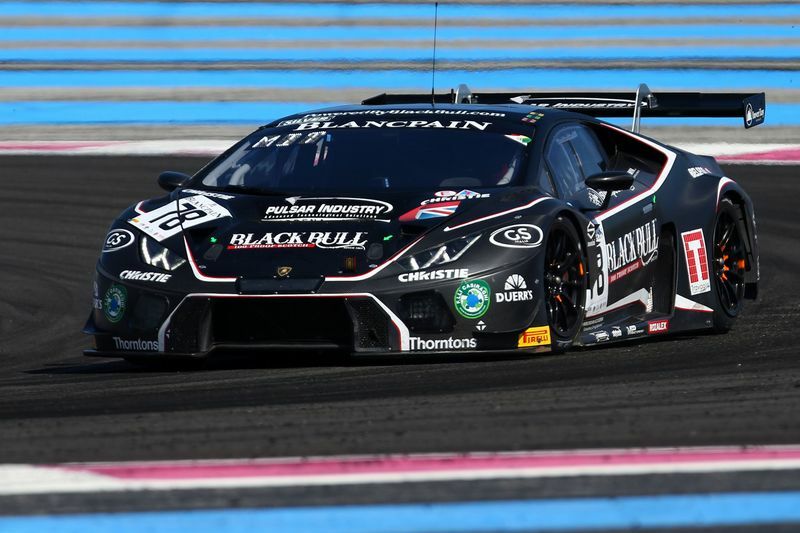 19-year-old James Pull enjoyed a busy 2018 during which he contested the Lamborghini Super Trofeo Middle East and Super Trofeo Asia championships with FFF Racing Team and the Lamborghini Super Trofeo Europe Series with Bonaldi Motorsport. You can read the full story of Barwell Motorsport’s 2019 Blancpain GT Series Endurance Cup entries here. ROWE Racing has confirmed that it will switch manufacturers to Porsche for this season’s Blancpain GT Series Endurance Cup. 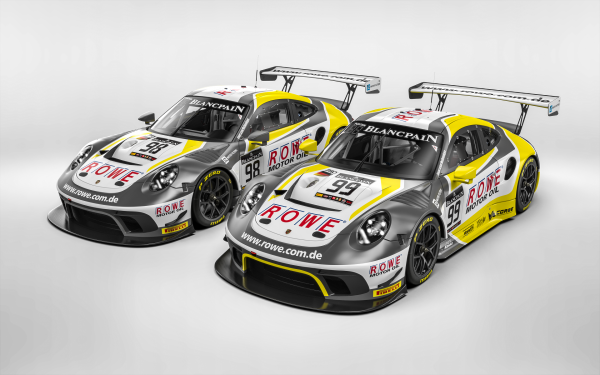 ROWE Racing will enter one new-for-2019 Porsche 911 GT3 at all five events this season with a second entry be prepared for the Total 24 Hours of Spa. Drivers for the full-season entry have been announced as Dirk Werner, Matt Campbell and Dennis Olsen. 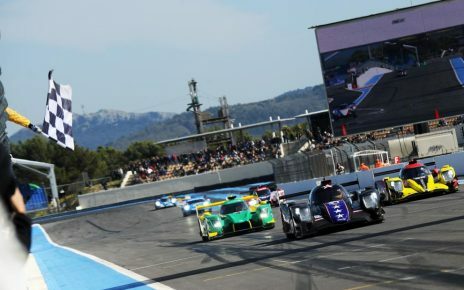 For the Spa-only entry Frederic Makowiecki will be joined by Patrik Pilet and Nick Tandy. Team Principal Hans-Peter Naundorf is looking forward to the new season. “It is a real honour for us that such a renowned manufacturer that enjoys great success in motorsport such as Porsche is placing their trust in our team to compete with the latest generation of the 911 GT3 R,” said Hans-Peter Naundorf. 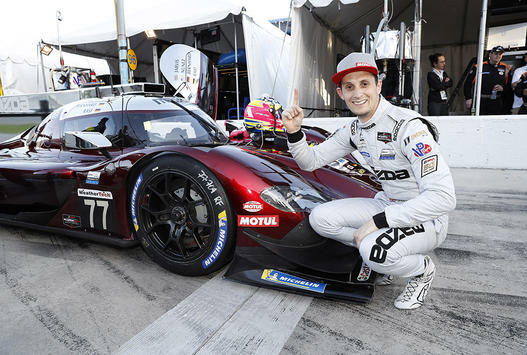 Oliver Jarvis put the #77 Mazda team Joest RT24-P on pole position for the Rolex 24 at Daytona with a new, official lap-record on the 3.56-mile Daytona International Speedway. With a little over six minutes remaining in the 10-minute session, Jarvis lapped in 1:33.685 (136.792 mph), beating PJ Jones’ previous record of 1:33.875 (136.521 mph) set in 1993 in the #98 All American Racers Toyota Eagle Mk 111. The lights go out for the 2019 Rolex 24 at Daytona at 2.35pm local time on Saturday January 26. Wherever you are and whatever you’re doing this weekend, the EnduranceandGT hope you have a great weekend.